Test-Mate is a microprocessor driven, versatile, robust, fast to use and easy to understand, peace of equipment. Test-Mate is designed to enhance your Workshops ability to diagnose modern automotive electronic fuel injection systems. This is the only equipment, we know, that can check if all injectors are spraying equal amounts of fuel or not, without removing them from the engine! Test-Mate is a part “meter”, part “driver” and part “simulator”. 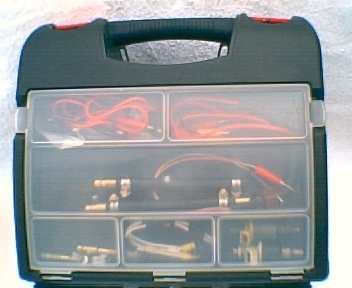 ·Electronic Fuel Injector’s opening time. ·Hall Effect Pick Up to Ignition Module or to ECU signals. 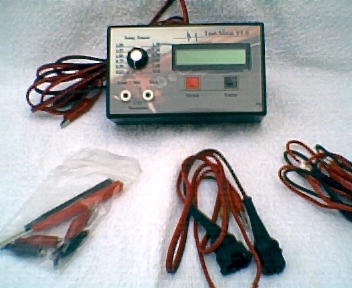 ·In fact one can measure any signal that have positive or negative square pulses with maximum duration of 1 Sec. and not exceeding DC 80V. * The DRIVER part can drive/“pulse” Fuel Injectors “In situ” or “Out-on the test bench”. 1.Injector Out 60 seconds. Automatic from 10ms to 1ms and back in 1ms steps. 2.Injector Out 30 seconds. Automatic from 10ms to 1ms and back in 1ms steps. 3.Injector Out 15 seconds. Automatic from 10ms to 1ms and back in 1ms steps. 4.Injector Out Manual with selectable On Time from 1ms to 24ms.Off Time is 100ms. 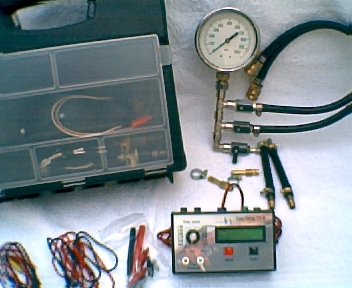 5.Injector In Car 10sec. Special Mode for testing injector’s fuel quantity “in situ”!!! 6.Injector In Car 5 sec. Special Mode for testing injector’s fuel quantity “in situ”!!! * Test-Mate’s SIMULATOR part will mimic most of the Coolant Temperature Sensors found in today’s cars, giving You the possibility to check the different ECU modes from cold to hot engine simulation. There are 12 possible simulations. 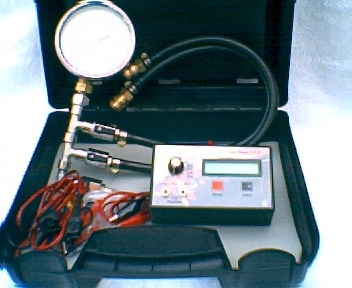 Simultaneously Injector Open Time measurement it’s possible and recommended too. * Lastly Test-Mate is equipped with display illumination which is software selectable for clear display readings even in absolute darkness. It also have “Out of range” Visual and Sound feature to let You know when the readings taken are out of meter’s range!